Onion Creek Meadows was established in 1971. At that time Onion Creek Meadows, Inc. was the sole owner of the property. O. H. Pool, President, Paul Heiligenthal, Secretary. 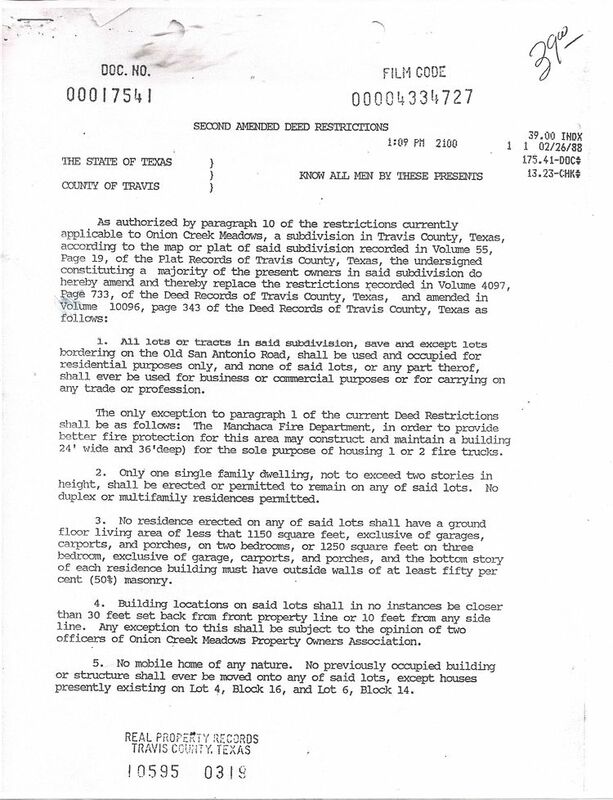 The Deed Restrictions were filed on July 19, 1971 which imposed specific covenants, conditions and restrictions upon all of the lots in the subdivision. In 1985, a group of residents formed the Onion Creek Meadows Property Owners Association (OCMPOA) and a nine-member Board of Directors were elected. 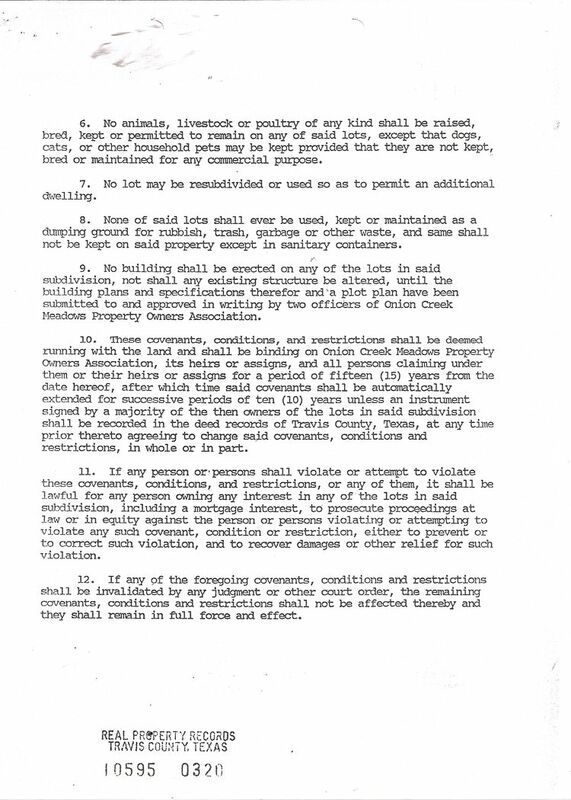 The by-laws were officially filed on May 7, 1985. Click here to view the OCMPOA Bylaws. Membership in OCMPOA is open to all owners of property in Onion Creek Meadows Sub-Division. Our membership is on a fiscal year basis: July 1st to June 30th. When neighbors work together they can protect the value of their homes and the quality and safety of the neighborhood. An important function of an association is to enforce deed restrictions. 1. must be a member of the association. 2. must attend quarterly meetings. 3. must be willing to serve on a committee.